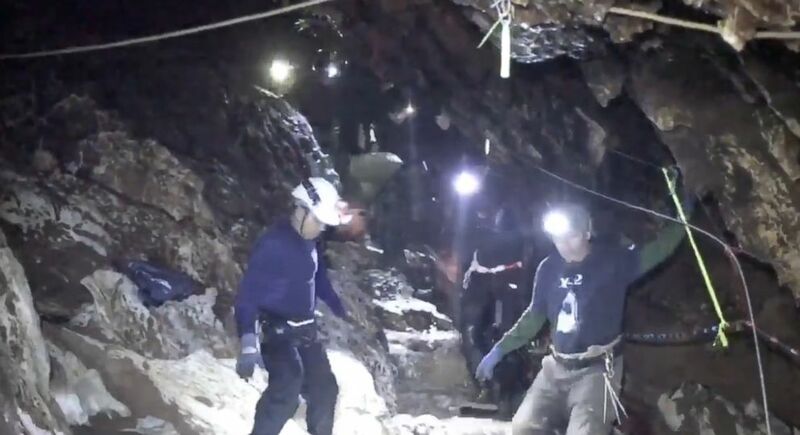 With all odds against them and time running out, rescuer pulled off a miracle. 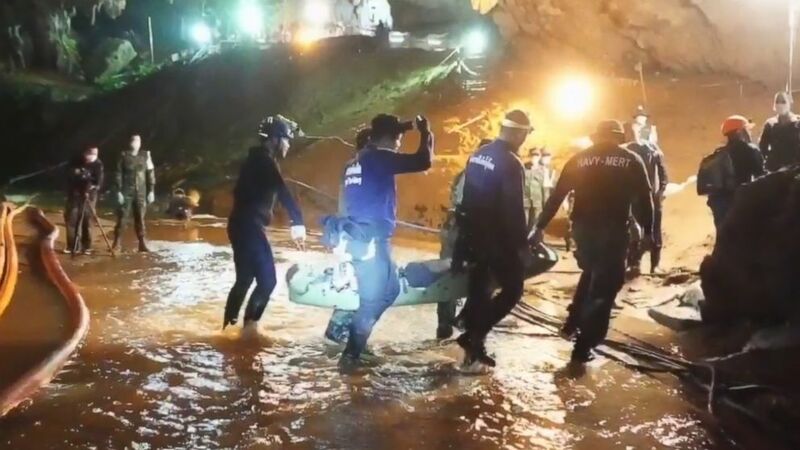 (Thai Navy Seal) One of the rescued boys is carried by six rescuers across ankle-high stream of water to medics inside the cave for immediate treatment. 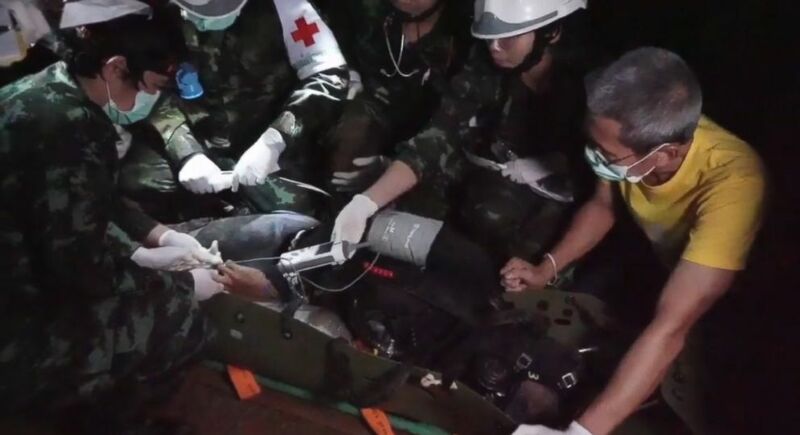 (Thai Navy Seal) Helmeted rescuers strap one of the boys in a green plastic stretcher and moved him down to the water’s edge from the beach he and his soccer teammates were maroon on. 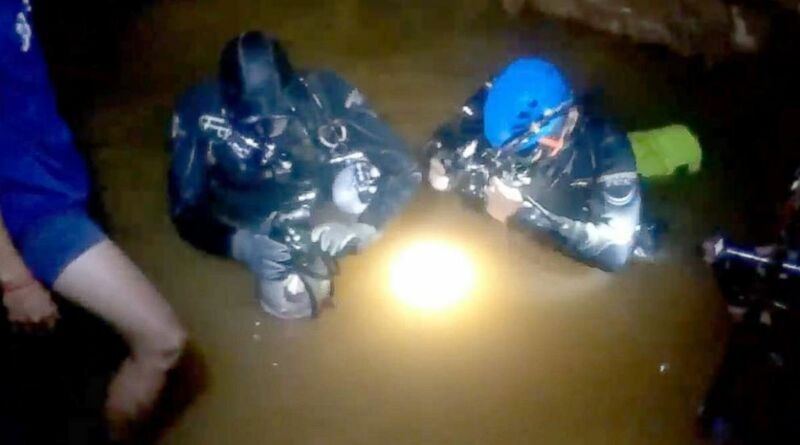 (Thai Navy Seal) Two divers prepare their masks and air-tank regulators as they gear up for the scuba mission through the narrow flooded passageway leading to the cavern where each of the 12 boys and their coach – strapped into flexible stretchers and fitted with wetsuits and breathing apparatus – will be brought back through. 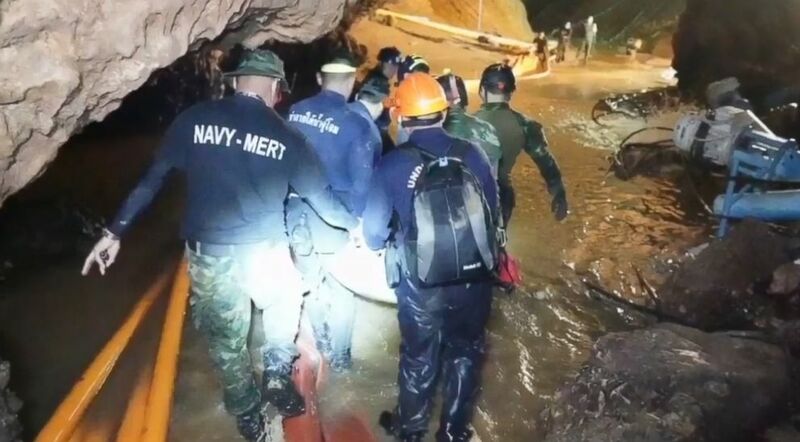 (Thai Navy Seal) A group of rescuers tote a stretcher containing one of the boys through a muddy and watery stretch as they head to the mouth of the cave on foot. 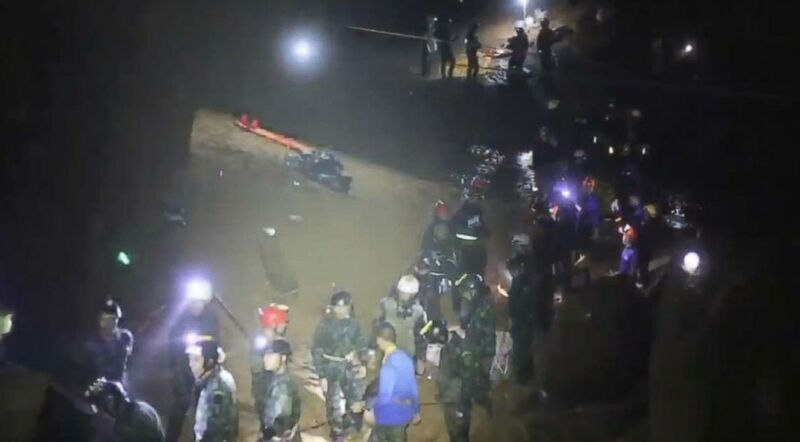 (Thai Navy Seal) More than 30 rescuers form the two phalanx a bucket brigade to quickly pass the boys along to safety. 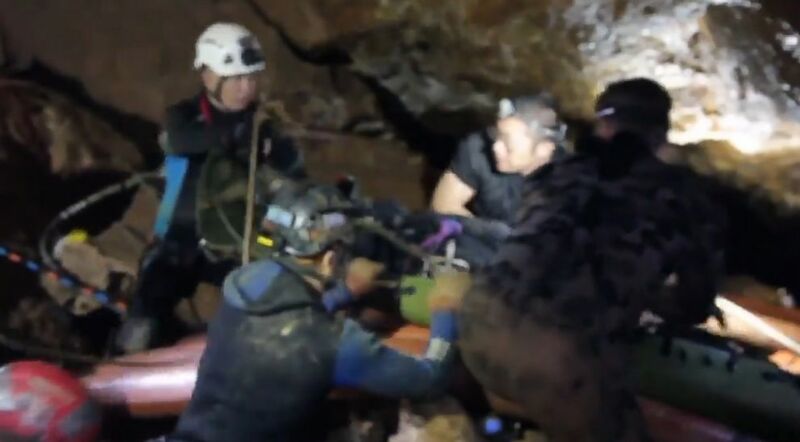 (Thai Navy Seal) Rescuers carry one of the boys on a stretcher through a narrow steep passage in the cave as they trudge their way to safety. 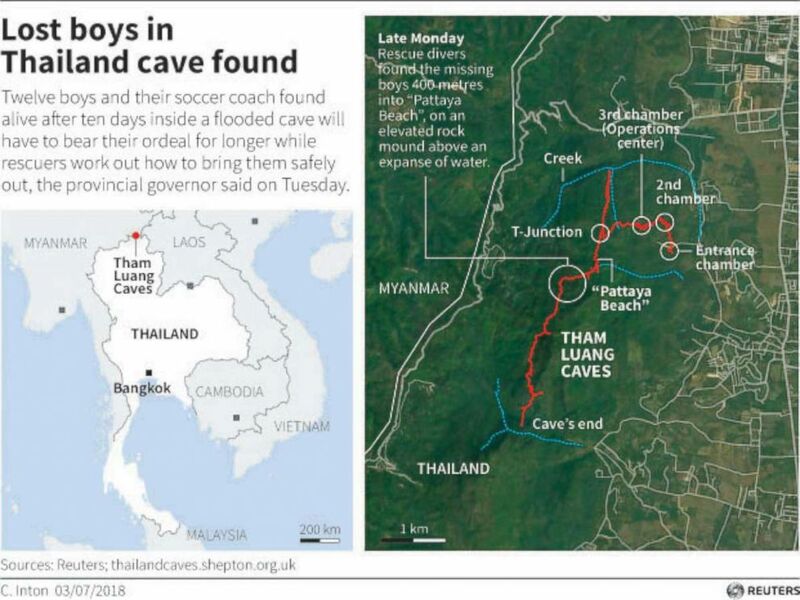 (Thai Navy Seal) The rescued boys and coach get passed to a team of medics just inside the mouth of the cave ready to immediately treat the survivors as they are brought out of the labyrinth.